An early ferry crosses Puget Sound at first light. 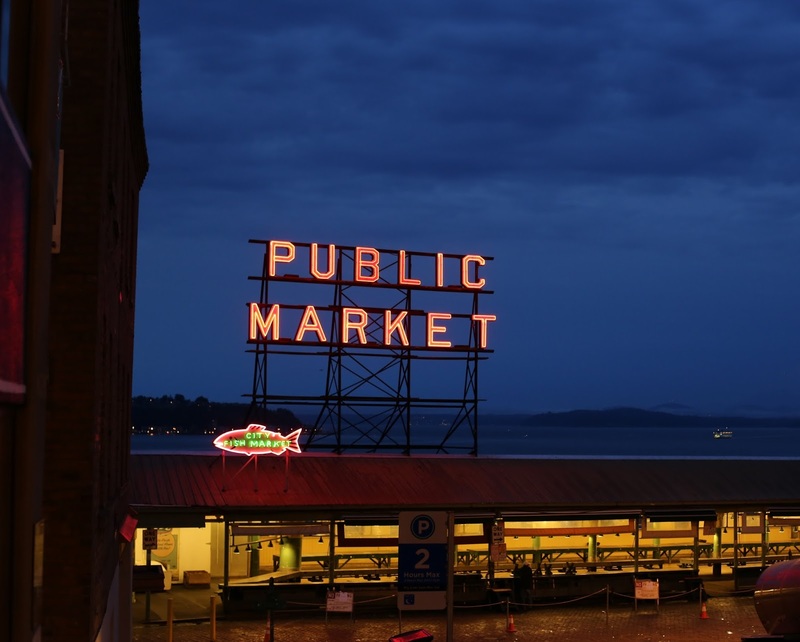 The Pike Place Market is cleared of vendors and is completely washed down, appropriate to the signage "sanitary public market" seen on the buildings facing the Sound. 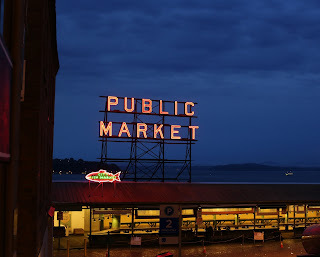 The few people around are those who have been up all night, and those who have jobs that require the area to be free of vehicles and tourists.